Exceptional Villas is a trusted, worldwide luxury villa rental company that provides tailor-made vacations all over the world. Founded in 1992, we feature over 2100 of the world's finest luxury rentals. Every single one of our villas has been inspected at least once every year by one of our dedicated Villa Specialists. The big difference between Exceptional Villas and our competitors is that you will be speaking and liaising with the actual person who has been to the villa many times and has experienced the villas first hand. We have unrivalled experience of our both our luxury villas and destinations. Our concierge team and our villa specialists have an incredible in-depth local knowledge. The service you receive from Exceptional Villas starts the moment you contact us. We prefer to speak with you so that we can discover exactly what you are looking for and what your dream villa and dream vacation looks like. We will then match to your specific requirement the ideal villa to ensure that you have the perfect and most memorable vacation possible. Furthermore, our long-term relationships with our owners and property managers ensure that we have the best price and the best value possible. We offer both Exceptional Service and Exceptional value. We truly have an expertise that is out of the ordinary and not found elsewhere. We are also proud of our consistent 5 star reviews from Trust Pilot and from Trip Advisor. We are also very happy to be considered one of the most Trusted Villa Companies in the World. In fact, trust is the cornerstone of everything we do. We at Exceptional Villas believe that trust is the basis of every relationship, especially when it comes to travel planning. Our clients return to us year after year because we believe in integrity, honesty, dependability, reliability, service and, above all, competence. We believe in getting the basics right and making each of our guests feel like a VIP. What sets us apart is the fact that we spend more time travelling than any other vacation rental company in the world. Our team spend much of their time crisscrossing the world. This is so that we can find the best villas in each market and in turn ensure the perfect holiday for you. We don't feature every villa we see but we do feature only the best villas. Plus our villa experts not only know every single villa, they are also familiar with the local areas, restaurants, beaches, excursions and all the best things to do. They are able to match the perfect villa or rental property to your discerning needs. This is whether you are looking for a luxury beach holiday, the perfect wedding venue, a family getaway or a romantic break. Each of the team at Exceptional Villas is passionate about travel and about ensuring our guests have the best experience possible. Our team also love to blog and write about their travel experiences. As a result we have a wonderful and informative blog on all our destinations. You will be able to find, for example, information on all the best restaurants, best beaches, the best family spots, the best places to swim with turtles, information on the weather and the best time to travel, places to travel without a passport, the top 10 things to do at your destination and things like Off the Beaten Track suggestions where you can get some really unique ideas and much more. If you are unsure about where you would like to travel, then we have several members of our team who have visited and travelled to every location we feature. The owner Alexandra Baradi and our Marketing Manager Linda Browne will be delighted to chat with you and help point you in the right direction. We also provide a full complimentary pre-arrival concierge service and a 24/7 on island and destination concierge. We ensure that every detail of your vacation is perfect. Our in-house concierge team, comprising of Julie, Noreen and Sinead, are always on hand to ensure that all your vacation requirements are met. They will be delighted to help you with every detail such as VIP airport fast tracking, ground transportation to your villa, limousine services, car hire, water sports, excursions and restaurant reservations. They will also be happy to assist and recommend all the best things to do at your vacation destination. Once you arrive, your destination concierge will take over with the support of Julie, Noreen and Sinead. The difference at Exceptional Villas is that we tailor all our holidays for you. We create your dream holiday around you and not around our own personal preferences. We spend a lot of time understanding exactly what your requirements are. This allows us to match the perfect villa for you and ensure you have your Dream Vacation. We have an extensive portfolio of luxury villa rentals. They range from stunning one bedroom apartments to contemporary beach front villas. We also have luxury condominiums to twenty bedroom mansions, private islands and exquisite ski chalets. Our Exceptional Villas are in some of the World's most beautiful and exclusive locations. We are the World's leading luxury travel company for villas in Barbados, villas in Jamaica, St Martin villas, luxury villas in Antigua and St Barts villas. We also operate in St Martin, St Lucia, Antigua, Anguilla, The British Virgin Islands, The United States Virgin Island, Puerto Rico, Nevis, St Kitts, Turks and Caicos, The Bahamas, The Dominican Republic, The Cayman Islands, Mustique, The Grenadines, Grenada, Mexico, Ireland, France, Switzerland, Italy, Spain, Greece, Thailand, The United States, and The Maldives. We operate our own European office in another beautiful part of the world in Kenmare, Co. Kerry, Ireland. As part of the Exceptional Villa family, we also have a designated site for Villas in Barbados as this is where we first started and will always hold a special place in our hearts. We look forward to hearing from you and helping you make your vacation dreams come true. Barbados is and always will be very close to our hearts. It is where we started our company, and it is also one of the best locations for luxury villas anywhere in the world. Barbados has it all. It has a fabulous year-round climate and is largely out of the hurricane belt. Barbados offers a wonderful balance between luxury and history, glamour and culture. More of the villas in Barbados are on the beach front than most other Caribbean islands. Perfect for family groups, small weddings, romantic trips for two, honeymoons and friend’s reunions. St Barts is for people who want luxury, glamour and beauty all in one. It is St Tropez meets the Caribbean. It has all the wonderful aspects you might see and feel in the south of France; The food, restaurants and culture with the sheer beauty of the Caribbean. It is a small island which you can drive around in roughly an hour, but it has some of the Caribbean’s best beaches, restaurants, nightlife and the shopping rivals the best in the world. 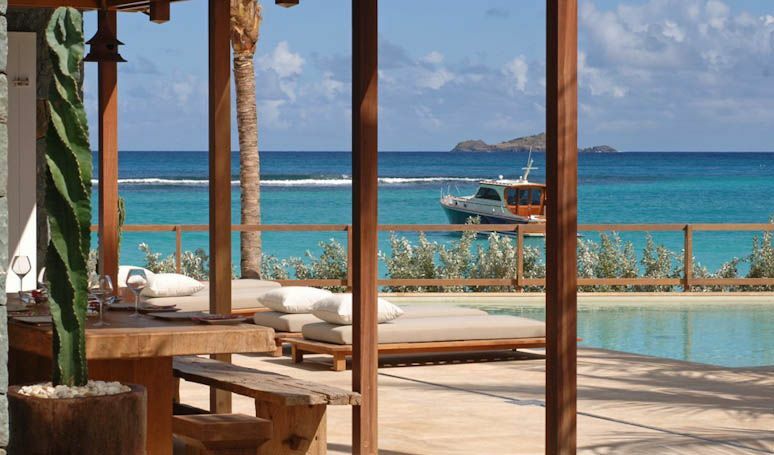 Of course, the St Barts villas are some of the world’s best. Some people are put off by the fact that you have to take an extra flight to St Barts. Don’t be. The journey is an experience, and it is so worth it when you arrive in paradise. St Barts is perfect for adult groups, families with slightly older children, and people who love to eat and live life to its fullest. Antigua is one of the most laid-back of the Caribbean islands. It is just 20 miles long; it has fabulous white sandy beaches and some of the best resorts in the Caribbean. The jewel in the crown of Antigua is Jumby Bay which is a beautiful private island located five minutes by boat off the coast of the mainland. If you're looking for a luxury villa Antigua is one of the best places to start. Antigua is perfect for anyone looking to kick back and relax, enjoy the sun, beaches and myriad of watersports. St Martin is 37 square miles in size. It is the smallest island in the world to be governed by two countries’; Netherlands and France. 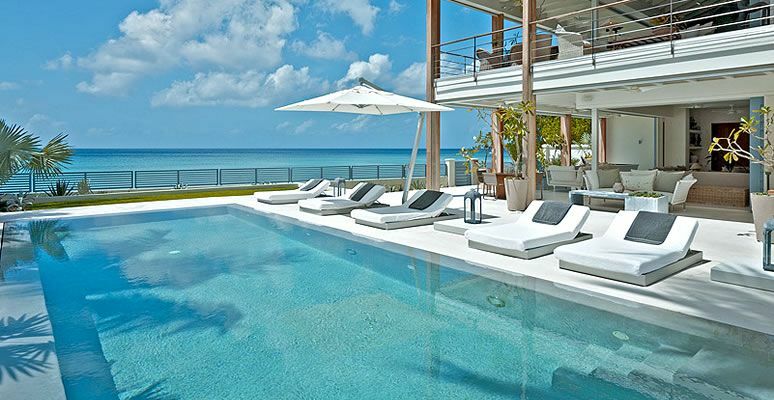 The island of St Martin has thirty-six exquisite white sandy beaches and some of the world’s best vacation rentals. This is where Donald Trump has one of his beachfront villas called Chateaux des Palmiers. Most of the luxury vacation rentals we feature are on the French side. The St Martin villas are quite unique and are perfect for people who like to have lots of space and privacy when they are on vacation. The island also has more than its fair share of luxury beach rentals. St Lucia is nature’s gift to the Caribbean. It is stunningly beautiful with exquisite rainforests, tropical gardens, impressive waterfalls, tropical birds and of course the world-famous Pitons. St Lucia is full of history and culture and breathtaking scenery. The St Lucia villas and resorts are stunning, and we recommend it for nature lovers, family groups, and it is especially perfect for small intimate weddings. Bali is the island of the gods. It is the perfect place for taking time out of the rush and hustle of our busy lives. Bali is very laid back and is the place for spiritual awakenings and introspection. All for a good reason; Bali has over 10,000 temples located throughout its breathtaking landscape. It is chockablock full of ancient monuments, rice paddies and tropical beaches. Above all, Bali has some of the warmest and most beautiful people on our planet. Bali has some of the most stunningly beautiful authentic and luxury houses for rent. We recommend Bali for culture lovers and for nature lovers. Jamaica is the third largest of the Caribbean Islands and has one of the most vibrant cultures in the region. Jamaica has produced some of the world’s greatest artists and athletes. Think of Bob Marley and Usain Bolt. We absolutely love Jamaica. It is beautiful with mountains reaching 2256 meters in heights, cascading waterfalls, great authentic cuisine and stunning beaches. But we especially love the Jamaican people. They are unbelievably warm and friendly. We have many luxury villas throughout the Caribbean, but we get more repeat business to the villas in Jamaica than any of our other islands, and this is purely due to the wonderful hospitality of the Jamaicans. Nevis is the secret gem of the Caribbean. Located next to its larger sister island of St Kitts, Nevis is the island to go to if you want to live like a local. Nevis is the place where both locals and tourist party together at one of the Caribbean’s best and well-known beach bars called Sunshines. Nevis is tiny, just 37 kilometres in circumference but for such a tiny island, it more than holds its own when it comes to luxury vacation rentals in the Caribbean. Many of the villas in Nevis are in the grounds of the beautiful Four Seasons Resort. Another very popular location for our guests is The Paradise Beach Villas. Mexico is one of our most popular locations to enjoy a luxury vacation. The country is bursting with colour and culture. You can spend time exploring beautiful colonial cities, discovering ancient ruins from the Mayan culture, whale watching off the Baja California or enjoy the beautiful turquoise waters of the Riviera Maya on the Caribbean coast of Mexico. Mexico is the land of the Aztecs, Mayas and Olmecs. Mexico is also full of luxury vacation rentals and is perfect for a family holiday, honeymoon or couples vacation. The country is enormous and varies greatly from coast to coast so if it is your first time, do chat to us so we can advise you on which area and Mexico villa rentals best suits your needs. Italy is pure heaven. It is a land of history, beauty, culture, gastronomy and above all wonderful people. Italy is also unbelievably diverse with so many different parts and different landscapes making it impossible to see in just one visit. Firstly, there are the long stretches of the beautiful Amalfi Coast and the Mediterranean coastline. Then there is Tuscany with its hilltop towns, rolling vineyards and great food or Florence where you can enjoy renaissance architecture such as Brunelleschi’s Duomo and Michelangelo’s David. What about Venice, the city of romance, café society and gondola rides or Rome for incredible history and ancient monuments. The north parts of Italy are also well worth a visit. Both the Italian Alps and The Dolomites are wonderful for winter skiing and summer hiking. Or, join George Clooney and Amal for a summer at the Lakes of Como and Maggiore. There are all kinds of Italian villa to suit all needs. Ancient Palaces, vineyard mansions and luxury beach rentals. The Maldives are a divine archipelago of tiny islands. Each island is an entire resort surrounded by some of the most beautiful crystal-clear waters we have come across. If you wish to experience the ultimate in paradise island adventures, then The Maldives is for you. Many of our luxury villas in the Maldives are built over the water which means you can jump in the sea at any moment and explore the unspoilt reefs and swim with over 300 species of tropical fish. If you like a luxury experience, the standard of the Maldives floating villas is simply hard to beat. Each of the resorts we feature also has full services spas, wonderful restaurants and a full array of watersports amenities. Some of our Maldives resorts include Cheval Blanc, Niyama and Huvafen Fushi. We recommend the Maldives for romance, family fun and adventure seekers. Located off the south-east coast of the Bahamas, the islands of Turks and Caicos make up a stunning archipelago of over 40 small coral islands. Turks and Caicos have been blessed with hundreds of gorgeous beaches, and Grace Bay Beach is considered by many reputable travel sources as the worlds best beach. It is totally stunning and completely pristine. However, Turks and Caicos have more than just beautiful beaches. It has an interesting colonial history, lots of breathtaking nature reserves and of course some of the luxury villa rentals are amongst the best in the world. Turks and Caicos are especially good for luxury Beach Rentals. In fact, our favourite luxury beach house is Hawksbill Villa. We recommend Turks and Caicos villas for everyone who values pure luxury as virtually everything is five-star. If you value beauty and nature, then Grenada is perfect for you. It is the home of verdant rainforests, plunging gorges, tropical gardens, thundering waterfalls, spices, chocolate and of course beautiful beaches. Grenada is also home to one of our most beautiful private islands for rent called Calivigny. We highly recommend it for a special occasion or destination wedding. Many of the villas in Grenada are part of beautiful resorts with great facilities. This together with the fact that Grenada has no crime makes it a perfect vacation for families. The Cayman Islands comprise of three islands; Grand Cayman, Little Cayman and Cayman Brac. Grand Cayman where most of our luxury villas are located is one of the best locations for family holidays and for people who like to be active. We have some beautiful standalone Grand Cayman villas as well as some beautiful villas within resorts. One of our customer's favourite resorts is the Caribbean Club which is located directly on the islands best beach called 7-mile beach. There are many wonderful things to do in the Cayman Islands. One of the most unique things to do is to swim with Stingrays. It is an incredible and wonderfully exhilarating experience. Grand Cayman also has one of the best Turtle Sanctuaries in the Caribbean. Greece and the Greek islands are exquisite. They are full of vast stretches of the Mediterranean coastline, wonderful food, ancient whitewashed villages, archaeological sites and some of the most beautiful villa rentals on the planet. We love all the Greek islands. 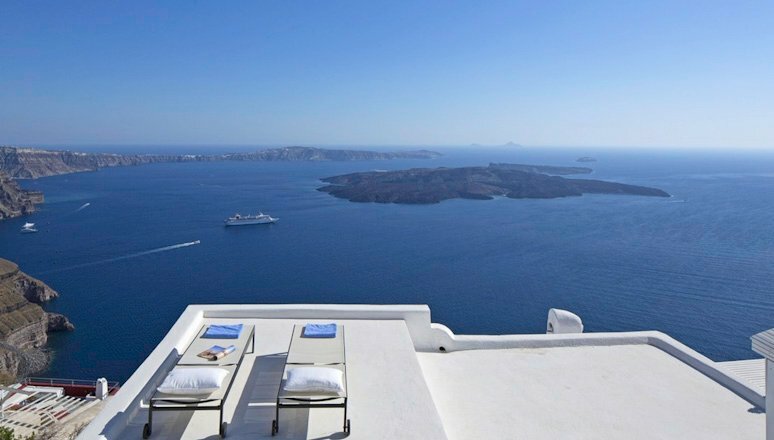 Santorini is possibly the most romantic place on the planet. The sheer beauty of the Caldera will never fail to take your breath away. Then Mykonos is wonderful for people who enjoy life to its fullest. You can choose to party all day long or just enjoy the sheer beauty of the island. Crete is the largest of the Greek islands and is full of history, rock coasts, vast sandy beaches and crystal blue waters. Each island is different, and we look forward to helping you find the perfect one. Located just east of Puerto Rico, The British Virgin Islands comprise of a series of 60 islands of which 16 are inhabited. The islands are among the most beautiful in the world and consist of secret bays, hidden coves and transparent clear waters. 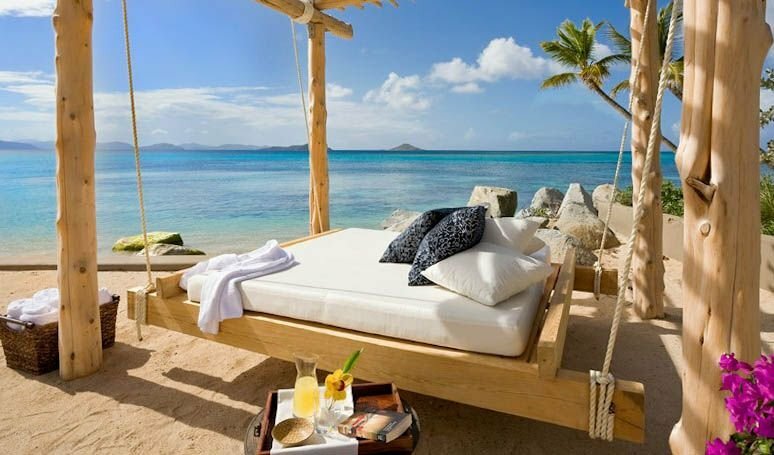 The British Virgin Islands are perfect for people who like laid back and barefoot luxury. They are very un-commercialized and very unspoilt. 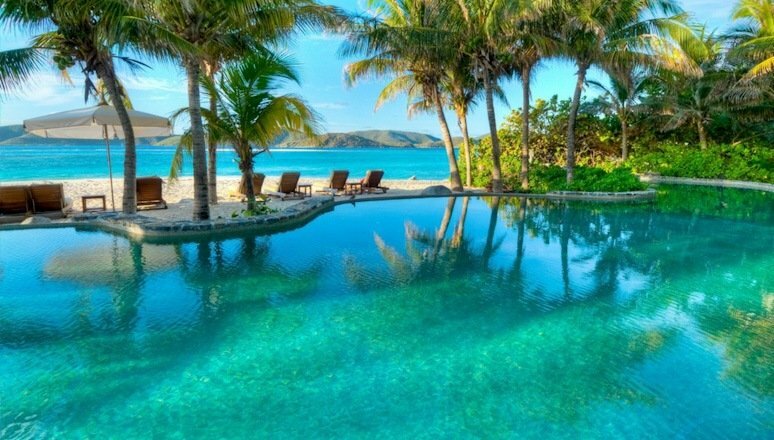 There is a reason why Richard Branson chose this as his home, and we are very pleased to represent his beautiful Neckar Island as part of our private island collection. There is nowhere on earth quite like Hawaii. It is a beautiful sun-drenched archipelago of islands. Each of the Hawaiian Islands is full of soaring volcanoes, Robinson Crusoe beaches, cascading waterfalls, palm-fringed lagoons and abundant sweet-smelling flowers everywhere. We recommend Hawaii villas for families, romance and for groups of adults. The possibilities are endless. You can choose to relax and enjoy the amazing beaches or be more active and learn to surf, go for a helicopter ride or go whale watching amongst many other things. We look forward to helping you in every way we can to ensure that you pick the perfect place for you and of course in helping you make your vacation dreams come true.